It’s rarely the done thing for the Belgravia team to blow their own trumpet, but a spate of recent press articles about hair loss for which we were asked to contribute has left us with a bit of a warm glow. As the UK’s leading hair loss clinic, with more than two decades of experience in treating everything from Male Pattern Baldness and Female Pattern Hair Loss to Traction Alopecia and Telogen Effluvium, we are regularly contacted by the world’s media for help in explaining to their readers what can be a fairly baffling subject to laymen. And over the past few weeks we’ve been especially busy. Yahoo also sought our expert opinion on whether frequent use of hair dye can cause hair loss, following actress Keira Knightley‘s revelations that she has been wearing wigs for the past five years due to over-dyeing her hair for film roles. Leonora went on to explain in the article that if your hair is dry and highly porous – and you’ll know this is the case if your hair almost immediately dries after showering – then it should be shampooed no more than twice a week as the hair is likely to be soaking up large amounts of water. Leonora explained that this weighs down each strand, resulting in loss of elasticity and leading to breakage. The Daily Express also quoted Belgravia in a piece concerning the percentage of men likely to show visible evidence of Male Pattern Baldness by the time they were 35. The answer, if you’re wondering, is 40 -per cent. 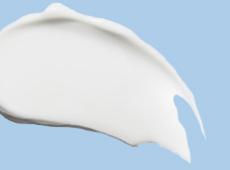 The article referenced a number of rather bizarre “alternative” treatments for hair loss that we have covered on the Belgravia blog, including cow urine and bull sperm. 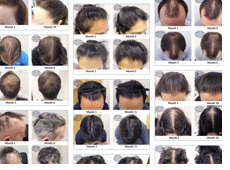 Neither of these options – alongside one of the most common myths (onions) were deemed a likely fix for a genetic condition that is more traditionally – and more successfully – treated with a personalised hair loss treatment course featuring clinically-proven medications, designed to reduce the production of the testosterone by-product which causes hair to gradually thin fall out, as well as encouraging new hair growth simultaneously. Lastly, Irish sports blog, Balls.ie featured quotes from Leonora in a piece regarding why so many male professional golfers have hair loss. Genetics are clearly the cause but could the stress of media scrutiny and pressure to succeed exacerbate their shedding? It’s definitely possible. Just like the media, many thousands of people have cottoned on to the fact that Belgravia takes hair loss very seriously. 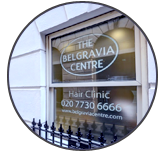 Thanks to a skilled team of trained experts who keep abreast of global developments, Belgravia is able to offer advice and medication that can alleviate a wide range of hair loss conditions in both men and women.